A new nerve graft technique that uses a special chemical and enzyme improves bladder control in paralyzed rats that have suffered spinal injury. Inability to retain full bladder control after a spinal injury is a frequent complaint from people who have been left with paralysis after an injury. Researchers in the past have experimented with nerve graft techniques to help promote regeneration of nerves after a spinal injury with some success. However, increasing the growth of new nerve connections that are capable of sending and transmitting signals from the injury site has been difficult to accomplish. As part of a recent study, researchers working with paralyzed rats successfully used a special chemical that boosted cell formation as well as a scar-busting chemical enzyme to promote regeneration of nerves at the site of the injury. 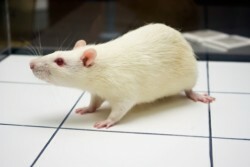 The researchers found that the use of the nerve graft helped the paralyzed rats regain some amount of bladder control. However, the nerve graft did not necessarily lead to any change in the rats’ ability to move. Every year, workers suffer spinal injuries, sometimes due to workplace falls and accidents involving cranes, tractors, forklifts and other industrial equipment. However, there is no complete cure for spinal injury, which is why it is so encouraging when research promises to helping injured patients recover or regain some of their lost function.